Thanksgiving Day | When I Survey . 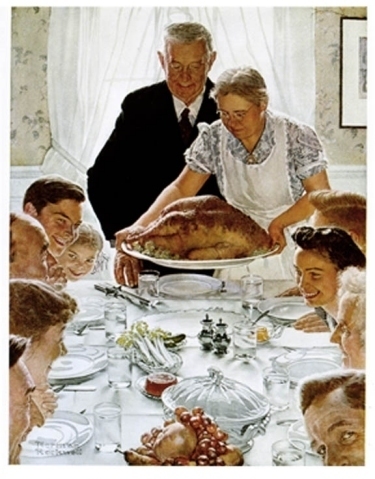 . .
Thanksgiving is the only holiday that Americans of all religions can share, because it isn’t a religious holiday, although one can celebrate it as such if you choose. It is also the one holiday that many Americans gather as extended families. It is the only holiday on which I see my brother and sister and their families, along with my own children and their significant others. But what if you have to work on Thanksgiving? More and more retailers, not content with the immense profits they make on so-called “Black Friday,” are opening on Thanksgiving. You and I can choose not to shop on Thanksgiving, but the workers in these stores won’t have that choice. This year I decided to list which stores are open and which ones are closed on Thanksgiving to help people know which stores to support. But first I want to especially commend Costco for putting their workers and their families ahead of profits. Costco, which is the second-largest retailer in the country (after Walmart), will close on Thanksgiving. “It’s an important holiday in the U.S., and our employees work hard during the holiday season, and we believe they deserve the opportunity to spend Thanksgiving Day with their family and friends,” Richard A. Galanti, executive vice president and chief financial officer at Costco Wholesale, told The New York Times. I cobbled these lists together from various on-line sources, and as far as I know, they are accurate as of today. They are, of course, subject to change and we hope consumer pressure will lead some of them to close.